Spend an evening with acclaimed tenor saxophonist George Garzone Friday, November 9 at Zinc. Book your tickets today! 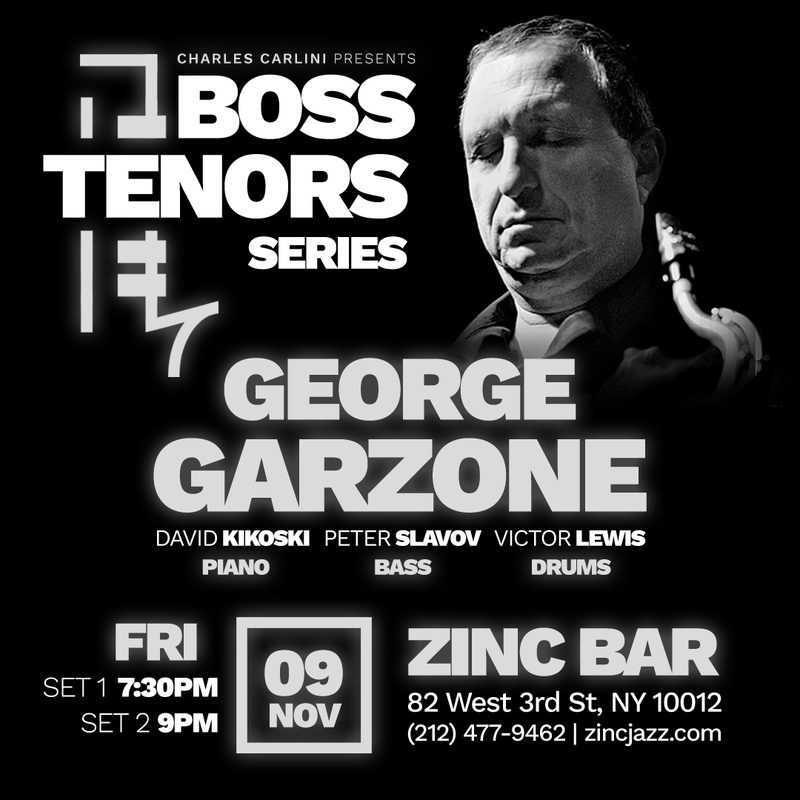 Acclaimed Tenor Saxophonist George Garzone brings his formidable quartet to the Zinc Bar on Friday, November 9. He’s supported by pianist David Kikoski, bassist Peter Slavov, and drummer Victor Lewis. Copyright Â© 2018 Jazz Promo Services, All rights reserved. Previous Tim Armacost, Gary Smulyan, John Patitucci & Al Foster @ Jazz Forum This Weekend!